MBFWA wraps up tonight with a highly anticipated show from international icon Oscar De La Renta, but before we obsess over what is sure to be an amazing runway, we’re looking back at the trends that have emerged on the catwalk this week. 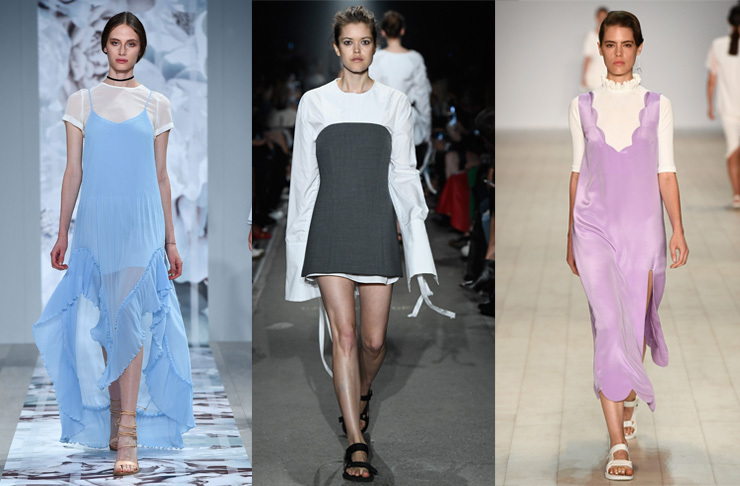 Here are our top five trends from fashion week. 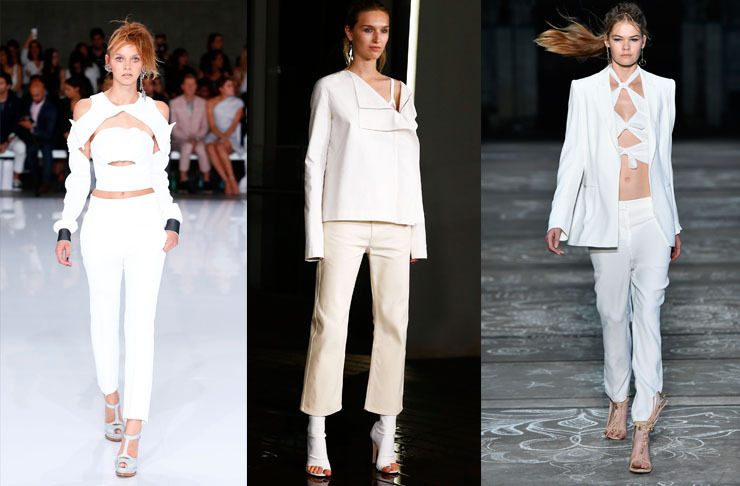 All white is the new all black, judging from the white-on-white styling at shows and on street style stars alike. It can be a difficult one to pull off, so we suggest loose silhouettes—and make sure you check, similar to black-on-black, that you don’t have slightly different tones of white. 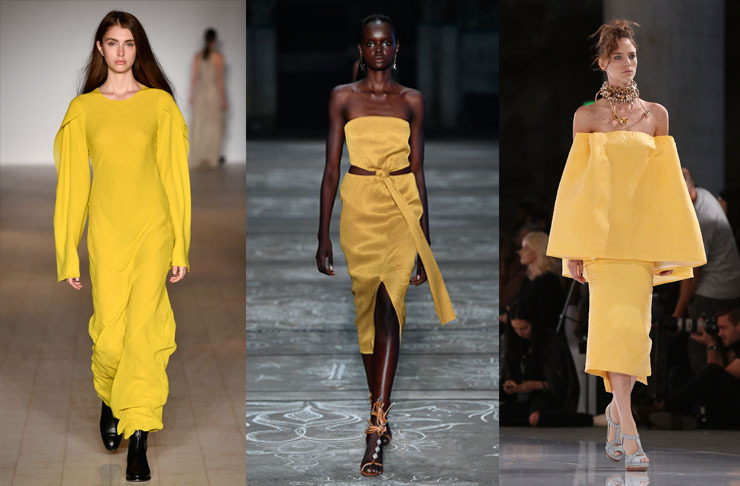 Another colour to emerge strongly on the runway this year is yellow—which, unfortunately, is probably even harder to wear than all-white! From Maticevski pairing it back with zebra print, to Bec and Bridge introducing ochre, it was the colour of the moment. BYO tan. Again, gracing the on-trend bodies of both runway models and street style stars, the trenchcoat made a strong case for winter this year—thrown over a dress, or paired back with a skinny suit or palazzo pants, this season’s trench is unstructured, long, and worn open. One of my favourite micro trends to hit the runway this year was the 70s psychedelic print—ironically, it takes me back to the late 90s/early 00s. 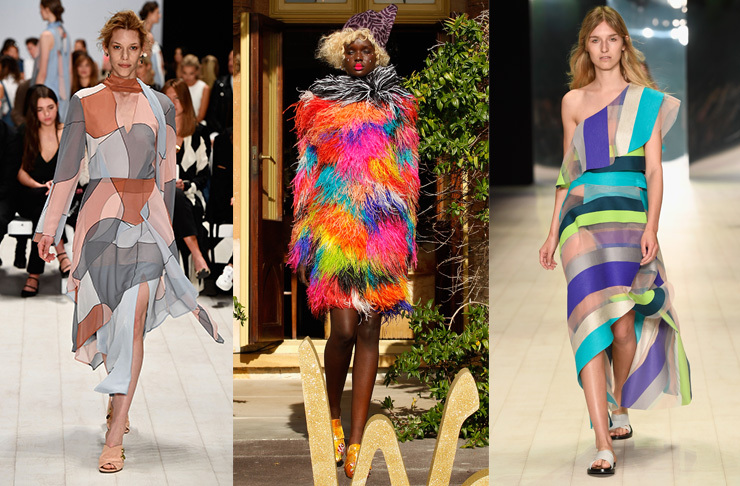 From rainbow fur through to earthy swirls, multi-coloured macro prints were everywhere. Wear with caution! We've seen this trend build steam over the last 12 months, and this year at MBFWA it was in full force: whether layered over shirting or a casual tee, dresses were rarely presented as a stand-alone piece. Our best tip? Pull out your slip dress and give it life during the colder months by wearing it over a long sleeve. Image credit: Image.net provided by MBFWA thanks to Getty.